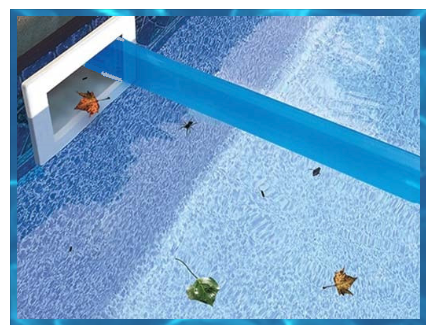 ​​The Easiest Patented Pool Skimmer Closure System Available. The Patented Skimmer Plug™ offers a simple yet revolutionary method for servicing and winterizing above ground and in ground pool skimmers. A first of its kind, the patented Skimmer Plug™ is superior to any other skimmer closure or winterizing device on the market, being more affordable, as well as much easier to use. 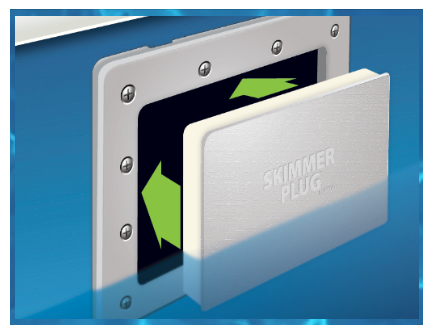 The Skimmer Plug™ fits all OEM skimmers without the need to replace the original skimmer faceplate. With no installation or tools required, the Skimmer Plug™ securely fits into the skimmer opening using our exclusive Rovaseal™ thermo insulated expanding layer to plug and grip the faceplate, creating a 100% air/water-tight seal. Ice is no match for the Skimmer Plugs rigid outer plate, providing a durable and secure layer of protection through the winter. Do you need more retail displays and signage to boost your sales, we'd love to help you sell more!